Rounding out Harvard’s representatives at the 2012 London Olympics are two rowers from the dominant Crimson heavyweight boat of the mid-2000s. Malcolm Howard ’05 and Brodie Buckland ’06 will represent Canada and Australia, respectively, as they try to recapture the success of their undefeated Harvard years. Howard returns to the defending Gold-Medal winning Canadian eight while Buckland makes his Olympic debut in the pair. 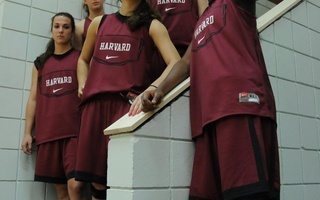 From 2003 to 2005 the Harvard heavyweights won three-consecutive IRA National Championships, going undefeated in the process. Howard was in the boat for all of them and Buckland, after coming in second to the Crimson while rowing for Washington in 2004, joined him in 2005 by transferring to Harvard. Though they rowed on the same boat in 2005 and will be rowing within two hours of each other in the first heats of their respective competitions on Saturday, the paths the two took to get where they are could hardly be more different. Howard, a prodigious talent, has achieved sustained success at every level of competitive rowing. 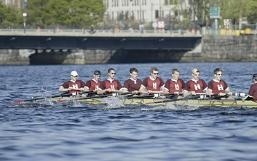 His first year at Harvard his freshman boat won Eastern Sprints. After transitioning to the 1V, Howard never lost a race to an opposing collegiate crew. Three years after graduation Howard continued his success standing at the top of the podium with his Canadian teammates in Beijing. In 2010, the 1V boat that the Crimson currently race in was christened “The Malcolm Howard.” He’s generally considered one of the strongest and most powerful rowers in the world, a veritable rowing machine. 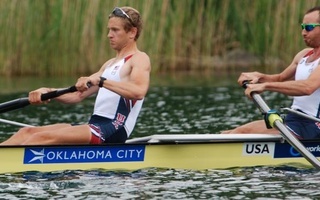 Buckland, born in Colorado and raised in Olympia, Wa., spent his first two years rowing for the Huskies. Washington finished second to the Crimson at Nationals in back-to-back years after which Buckland transferred to Harvard. After winning a championship his junior year and coming in fourth as a senior, Buckland began graduate studies at Oxford University, competing in the only inter-collegiate athletic competition older than the Harvard-Yale Regatta, “The Boat Race” between Oxford and Cambridge. In 2007 Buckland was on the move again, coming fourth in the eight with the United States at the World Championships, before losing his seat on the boat in advance of the 2008 games. Now pursuing a law degree from the Australian National University, Buckland has switched his allegiance to team up with Beijing silver medalist James Marburg in the pair. After getting his Australian citizenship in February, Buckland was all set to get another shot a championship. Had Malcolm Howard ’05 never taken another stroke after his days with at Harvard had ended, his three straight undefeated years would have earned him a place in school history.